Wilkesboro, NC – March 21, 2016 – Stephen J. Wessels joined forces with Forward Science, the manufacturer of OralID™, and became a member of the ID For Life™ Program to promote early detection and public awareness of oral cancer in the office. Dr. Wessels will be offering enhanced oral cancer screenings during scheduled appointments to new and current patients. Oral Cancer is not a rare disease and unfortunately it is on the rise. 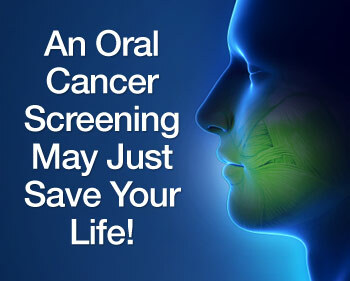 This year, approximately 45,780 will be diagnosed with oral cancer in the United States alone. Due to late stage discovery one American dies every hour from oral cancer. Dr. Wessels uses an oral cancer screening device, OralID, in efforts to discover oral cancers in their earliest stages. Currently, 63% of oral cancers are found in late stages (stage III, IV), resulting in a 5-year survival rate of less than 50%. OralID has the ability to “highlight” these abnormalities in much earlier stages, before it is actually visible to your dental professional, in turn increasing the 5-year survival rate up to 80-90%. Dr. Wessels has recognized the benefit of the Fluorescence Technology that OralID provides in efforts to discover oral cancer in its early stages and potentially save lives. Those interested in receiving an oral cancer screening at our office or to learn more about our advanced screening, contact our office at 336.838.4119 and ask about our OralID screenings. OralID is an award winning oral cancer screening device that utilizes “blue light” (fluorescence) technology to allow clinicians to Shine Light. Save Lives.™ by identifying abnormalities that may not be seen under traditional white light examinations. For more information, go to www.oralid.com or call 855-696-7254.